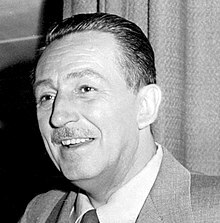 Walt Disney was well known for the quote “My business is making people, especially children, happy.” This is not just a quote he spoke to the masses, but this statement is a part of Disney’s mission statement. or Disney Land, but it is truly impossible (in my opinion) to be in a bad mood as you moveÂ through the park. The characters are hugging you, the employees are smiling and sweeping up each tiny fleck of dust (I have never seen anything so clean in my life…and cleanliness always makes people happy) and the air is filled with children laughing and some crying…and the crying is even okay, because there’s a Mickey Mouse ice cream bar to soothe the tears. In both business and life, we all have a mission. My mission in both is to develop leaders. I know that this is what I was born to do. I don’t really connect with having a “life purpose”, because I get all hung up on that, but I know that in some way, I have been called to help, guide and support leaders in changing the world. It’s just that simple. As I write this post today, it is my hope that a leader will stumble upon this and go out and start fully living out his or her mission in life. My question for you today is “What is your mission?” Once you answer that question, then go out and live it and live it to the nth degree! You will be so fulfilled if you live it! And…while you are reading this post, click on the links over to Disney World and Disney Land…you will be happier today just by doing it!.